Spoon plays Sasquatch! Saturday then head to the Knitting Factory two days later. Spoon has played enough festivals that the guys in the band can read an audience pretty well. Often, the people crammed into the front row are clearly there to hear the Texas-based crew's jagged, slightly psychedelic indie rock. 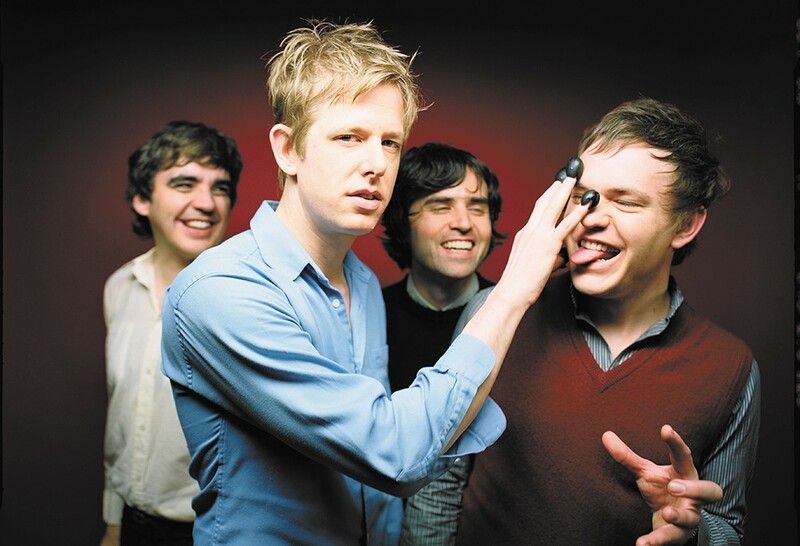 After all, Spoon has more than 20 years of great music to draw from, including classic indie rock albums like Girls Can Tell and Kill The Moonlight. But occasionally the fans closest to the band are simply waiting for an act coming on later. "Sometimes, you're sort of in between bands you don't have a lot in common with, and everyone in the front row is there to see some DJ playing after you — I'll say 'performing' after you — and they're just sort of looking at you like they don't know what a guitar is," says Spoon multi-instrumentalist Eric Harvey, who's played in the band led by Britt Daniel since 2004. They should have no such problems at Spoon's two shows coming up in the area. At Sasquatch! on Saturday, they play the final time slot. On Monday, they headline their own show at Spokane's Knitting Factory. As much as big festivals like Sasquatch! appeal to fans, they can be "tricky" for bands, Harvey says, although he notes that he'll take Sasquatch! over Coachella "any day." "Festivals can be kind of miserable if you're just sitting there in some FEMA trailer all day waiting to play a show," Harvey says. "Sasquatch! is really nice, but some of them are kind of a drag. You're like trapped in some parking lot or some sports arena." Spoon's summer, like their stops in Washington, is a mix of festivals and headlining theater shows, all in support of the band's 2014 release They Want My Soul. Coming 20 years after the band's debut, it's arguably the band's best, full of the woozy synthesizers, chiming guitars and groove-filled tunes that make the band's sound distinct — all perfectly complimented by Daniel's yelp. They Want My Soul came after the first long break in Spoon's career, a four-year pause following a string of increasingly successful albums, sales-wise, like Gimme Fiction, Ga Ga Ga Ga Ga and Transference. All that recording and touring finally wore Daniel down. "I remember being in Europe on one of our last tours for Transference, and Britt just mentioned to me, 'I think this band should go away for a while,'" Harvey says. "Which I think was his way of saying absence makes the heart grow fonder, that maybe people had seen too much Spoon for the past decade." Spoon's fans would certainly argue otherwise. And even though the band members used their time apart on a variety of outside projects — musical and otherwise — Harvey never doubted that Spoon would be back.